If you're shopping for an SUV that outdoes most others for elegance, comfort, and style, check out the new Volvo XC40. The XC40 made AutoTrader's list of Ten Best Car Interiors for Under $50,000 because of its edgy new design and premium materials. An all-new model, the XC40 is one of the most well-rounded luxury compact SUVs on the market, and its available now at Best Volvo Cars of Rochester. When Best Volvo Cars of Rochester got delivery of the all-new Volvo XC90, we knew immediately that this popular luxury SUV was going to attract buyers in record numbers. Here are some of the safety features drivers certainly appreciate in this vehicle. With the Lane-Keeping System, sensors are used to detect the position of the vehicle as you drive. 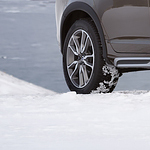 When the Volvo XC90 begins drifting outside the lane lines, the steering wheel begins to simulate driving over rumble strips, vibrating in increasing frequency until the driver takes corrective action and brings the car back into the lane. The Volvo XC60 has numerous performance and design features that benefit passengers. You can check out many of the best exterior features by visiting a local Volvo dealer, such as Best Volvo Cars of Rochester. Volvo XC60 automobiles have many features for various situations. One of the most useful features is the high pressure cleaning hardware as it keeps the headlight in optimum condition. A comfort feature for harsh weather is also included. If you need better air circulation, the panoramic moon roof with a power shade can keep you cool on a hot day. The new Volvo V90 is a vehicle that's built to support you on the road. This popular luxury wagon is equipped with advanced safety technology that can keep you and those around you safe. We here at Best Volvo of Rochester are excited to show you how this wagon can change the way you travel. When you're driving through the streets, the City Safety system will keep you alert. It operates whenever you're traveling at 31 MPH or less. Built-in cameras and sensors monitor the road ahead of you. Volvo's V60 Inscription is the epitome of a luxury vehicle. The 316 horsepower engine in this vehicle features 295 pound foot of torque and boasts a generous 31 miles per gallon gas mileage on the highway. It can be custom ordered in nine different colors and has two choices on the wheels. With eight different choices for the leather interior two different wood inlays for the interior, heated seats - both front and rear - and heated steering wheel, the customization features make it a dream vehicle for those who like the freedom to choose their own style. When the temperature drops, salt is used to make roads safe. It decreases the freezing temperature of water, thus preventing ice from forming. Unfortunately, the biggest downside to road salt is that it can cause corrosion on your vehicle. We here at Best Volvo of Rochester want you to protect your investment, so here are some tips you need to know. When you're shopping for a vehicle, you'll be presented with many options. 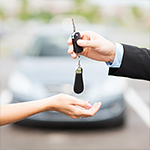 You may see brand-new cars, pre-owned cars, and certified pre-owned cars. If you're not sure what certified pre-owned vehicles are, you're not alone. We want you to make an informed purchasing decision, so here's an explanation of what these vehicles are and why they're such a great buy. An auto accident can be a huge moment in a person's life. Some would even go so far as to say that it is life-changing for them. When one happens, you need to be prepared. First, you should always make sure that you and anyone else involved in the accident is physically okay. You should then immediately call police in order to report the accident. An ambulance will come along even if there doesn't appear to be anyone injured. They can check up on that. Here at Best Volvo of Rochester, we understand that for most pet owners, their pet is more than just an animal - they are a member of the family. As such, we want to ensure that when our customers travel in their car with their furry family member that they are doing so in safe and secure manner. Even though your pet might prefer to wander freely around the vehicle, this can be quite unsafe. Often, free roaming pets can distract the driver - potentially causing an accident.